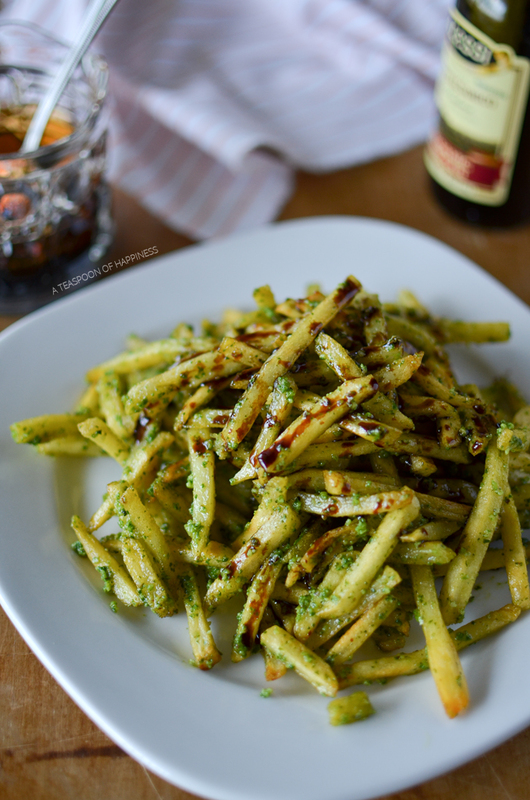 I promised you last week that I would share my recipe for making pesto fries at home. So here it is. After this, I promise to hold off on the pesto bombardment – at least for the foreseeable future. 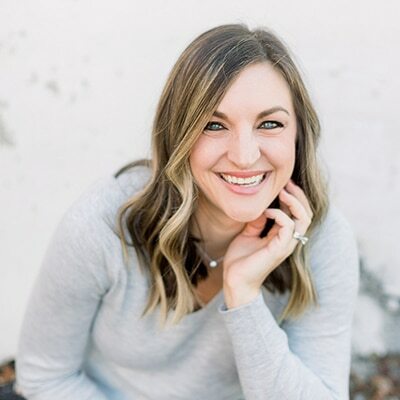 This concept is probably the simplest it can get, and you don’t really have to do much cooking if you don’t want – you could totally purchase all the ingredients pre-made to save yourself some time. 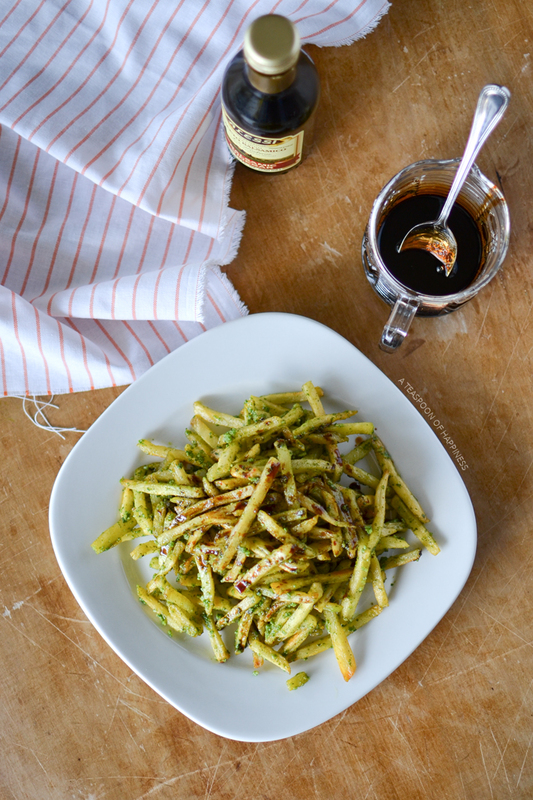 All you need are some fries, pesto, olive oil and balsamic reduction. I made the balsamic reduction myself, which took about the same amount of time as the fries took to bake. And, I used some leftover spinach basil pesto that I had in the fridge. I did, however, buy a bag of shoestring style fries from my grocery store because I wanted them to be extra crispy. This combats the pesto and oil that they are later tossed in and prevents them from getting soggy. You just can’t get that kind of crispiness in the oven with a plain old potato. Sometimes we all just need a shortcut, right? This may have just become my new favorite way to eat pesto. What about you? What’s your favorite thing to do with pesto, other than using it as a pasta sauce? Cook fries according to package directions (entire package). In a small bowl, whisk together the pesto sauce and olive oil. 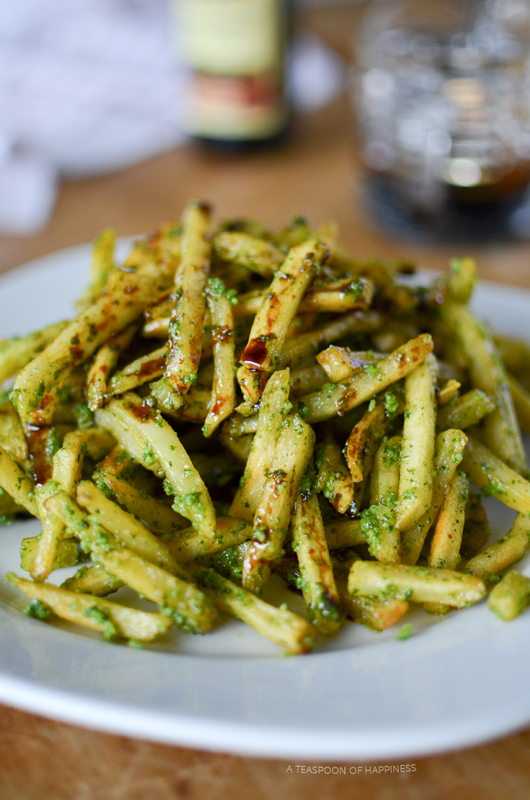 Once the fries are cooked, toss them with the pesto mixture and salt & pepper to taste. Drizzle with balsamic reduction just before serving. Yeah. Making your own fries is not that fun. I’m not sure how healthy the pre-made kinds are, but sometimes you just can’t (or don’t want to) make your own! 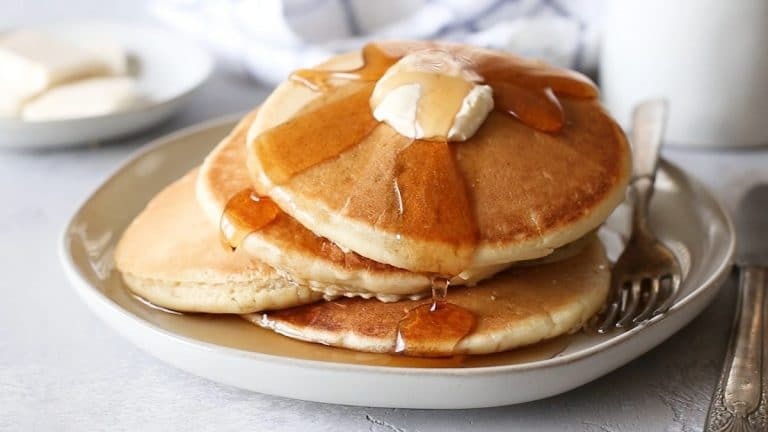 Yummmm…these look fantastic! I’ve had pesto on potatoes before, but I’ve never tried putting it on fries – can’t wait to try it! My favorite thing to do with pesto (besides putting it on pasta) is to use it as a spread for sandwiches. I make a lot of vegetarian sandwiches, and the pesto really adds a ton of flavor. Thanks for sharing your recipe! I’m gonna try these, looks great! Thanks for sharing! 30-year old balsamic? Really? That’s wonderful! I bet that would make a much better reduction that my grocery store stuff. You will have to let me know how it is!! Just wanted to let you know, we loved this recipe so much we featured it on our list of 7 Over the Top(pings) French Fry Recipes! Thanks for sharing your Pesto fries, we’re big fans!